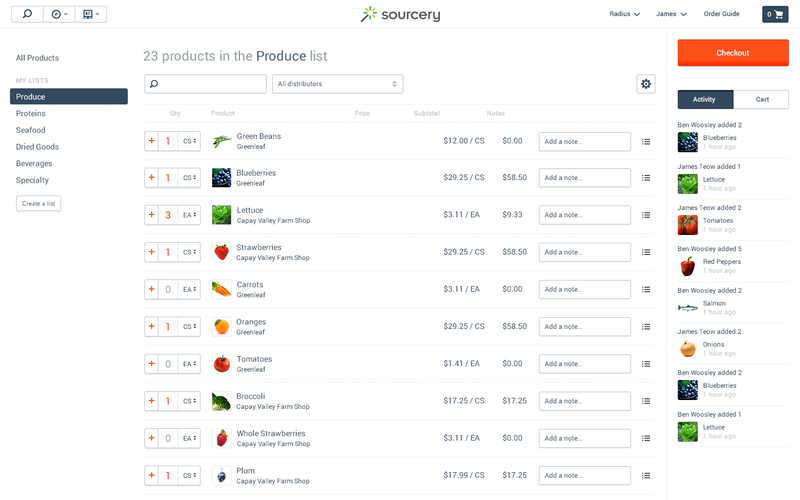 Sourcery's collaborative online ordering makes clipboards and voicemails a thing of the past. Have every vendor catalog at your fingertips. Easily add items to your digital clipboard for online ordering. Collaboratively create and place orders across multiple vendors from your tablet, phone, or desktop. Create custom lists to order with the click of a button. Give your receivers easy access to the order history, so they know what to expect when the truck arrives. Contact us for a demo or give us a call - 1-866-830-0691.